As summer approaches, we all start thinking about preparing for camp! Here are some helpful tips and information to help you prepare. Read our parent handbook to learn about camp communication, health information, camp store accounts, check-in and check-out, packing tips and more. Camp In Touch is a service that we work with to provide our camp families with two major services: a daily online photo gallery and a one-way emailing system. Families can email their camper at anytime and they will be delivered before breakfast the following day. Regular mail is delivered at lunchtime. Homesickness is a natural part of separation. Everyone (even the staff) feels it to some extent. Small homesick feelings don’t bother most kids much. There are things you can do to prevent stronger homesick feelings that might get in the way of having a great time. Learn about your camp! Use this website and watch our videos to get a sense of what camp will be like. Its generally the fear of the unknown that makes most of us anxious. Next, relax. 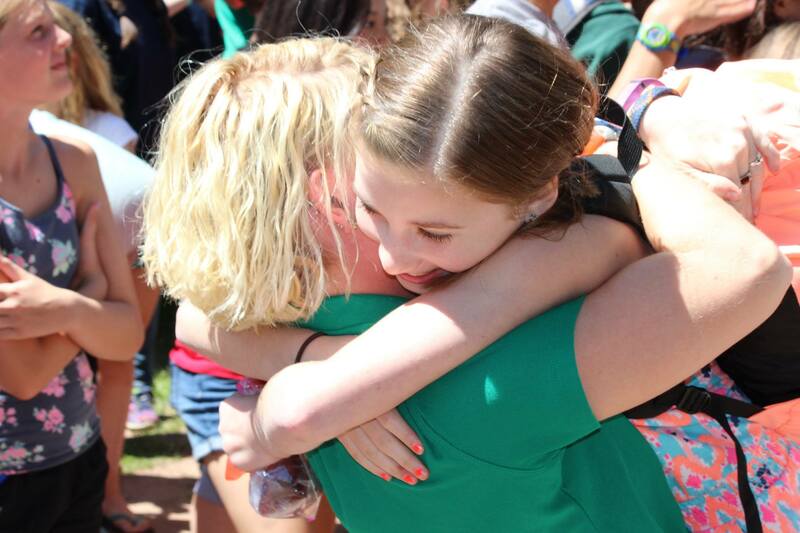 We have the greatest kids and staff at our camp – everyone will welcome you with open arms! Encourage each other! Kids, you need to reassure your parents. They did a good job of raising you and you can do this. You’re going to have a great time. Parents, don’t make deals with your kids about picking them up early…you’re setting them up for failure when you do that. Instead, let them know how proud of them you are and that you know they’ll have fun. Look forward to hearing about their adventures when they get back! Practice being away from home. Have sleepovers at friends’ homes. Spend the weekend at a relative’s house. Try not to call during your time away. Also, practice self-care skills. At camp, you’ll be making your own bed, sweeping a floor, wiping a table, getting yourself dressed and ready, etc. Finally, practice walking outside with a flashlight at night. At camp, without the glow of city lights, the night sky seems much darker. The good news is that it makes the stars seem to shine much brighter! 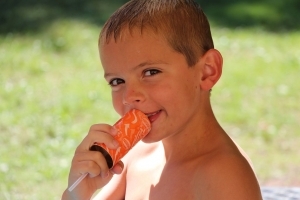 By practicing, campers find out that all of these situations are very easily handled. There is a whole staff of people at camp eager to help them. If you’re not sure of the answers to these questions or others, please feel free to call or email the camp. We want to ease your worries. “Camp Eagle Ridge gives kids the socialization skills they need to make new friends in any environment they will encounter in the future. Camp builds relationships. Camp also gives kids the confidence to try new things that they thought they could never do. Camp gives kids a place to be loved no matter what type of personality they have. Camp develops character by showing kids how to be kind and respectful and how to treat others. Camp shows kids how to play a meaningful role in their family and community with clean cabin awards and daily chores…this is my perspective as a parent. -Kristi (McKowen) Thompson, former counselor and current camp parent. “We received a very happy son back home yesterday after ‘the two best weeks’ of his life!